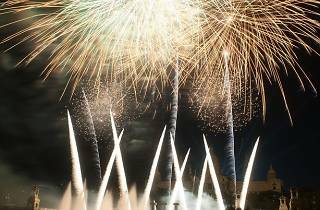 This year's Mercè pyromusical show is a special one: not only does it bring the festivities to a spectacular close, but it also bids 'adéu' to the tricentennial celebrations that commemorate the end of the 1713-1714 siege of Barcelona. 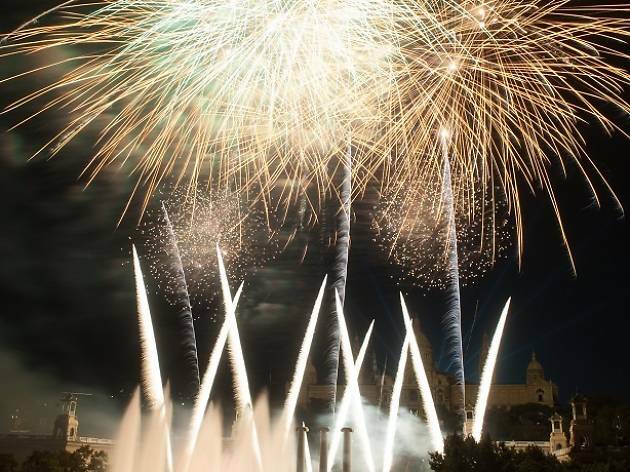 Fireworks, audiovisual projections and scenic elements come together in this event that has become a Barcelona classic. Don't think you've seen it all already just because you went last year or the year before, because this year there are new surprises you haven't seen in previous editions: with the help of projections on a giant screen, the show takes you through 300 years of the history of Catalonia via the dreams of creators who have helped make Catalonia better-known throughout the world: from Salvador Dalí and Antoni Gaudí to other important figures such as Pau Casals and Joan Miró.